Government decisions must be accepted? This is so typical of the attitude of our ministers. The government decides and the people “must accept” their decisions without questions. Why? Because they think they know better, understand everything and are the sole repository of knowledge and wisdom. And who are these “economic experts” that we have to accept their conclusions without question? Our government has forgotten that we are still supposed to be a democracy where everyone has a right to his or her own opinion, where decisions and policies can be challenged, debated and questioned. It is up to the government to convince the people that it is making the right decision, that its policies make sense and is good for the country instead of trying to shut down discussion by insisting that their decisions are final and ought not to be questioned. So, fellow citizens, fire away with your questions and arguments. Insist on having your say. Challenge our leaders if you don’t agree or simply need more information. And remind them they are supposed to serve you and not the other way around. KUANTAN (May 1, 2012): The private sector minimum wage must be accepted and not politicised as it was arrived at by economic experts, said Human Resource Minister Datuk Seri Dr S Subramaniam. “The minimum wage was not set by politicians but was based on input from the Technical Committee of the National Wage Advisory Council (MPGN) and the World Bank which studied the matter in depth before the rate was accepted by the councils representing employers and workers,” he told reporters after the 2012 National Public Sector Workers Day celebrations here today. He was commenting on the RM900 and RM800 minimum wage set for Peninsular Malaysia, and Sabah, Sarawak and Labuan respectively, which was announced by Prime Minister Datuk Seri Mohd Najib Tun Razak in Putrajaya yesterday in conjunction with Workers Day. “Of course, employers want a lower rate while workers want a higher one. There’re parties who say it should be more than RM1,200 or RM1,300 but according to the study, if it’s more than RM1,000 it would have an adverse implication on our economy and other negative effects such as higher unemployment,” he remarked. Subramaniam said the MPGN technical committee took two main factors into consideration, which were the poverty index and median salary. He added that the study also looked at the Consumer Price Index, productivity and unemployment rate. The rates in Sabah, Sarawak and Labuan would be streamlined with Peninsular Malaysia once their economy catches up, he said. Meanwhile, Bernama spoke to several sources in Kuala Lumpur to obtain their comments on the new minimum wage. Economist, Prof Dr Barjoyai Bardai of Universiti Tun Abdul Razak said the rate could be a catalyst to increase productivity and boost business for the private sector. “In Korea for example, the minimum wage is seen as a method to ensure the private sector develops faster than what has been targeted,” he said. “More than 30 percent of Malaysians are earning less than RM300 monthly at the moment and with the new minimum wage their income is raised immediately,’ he added. The Congress of Unions in Government-Linked Companies president Mohamad Shafie Mammal wanted the government to ensure that the rate would be complied by all employers. “We don’t want some employers to take advantage of the situation and retrench workers to ‘cut costs’,” he said. 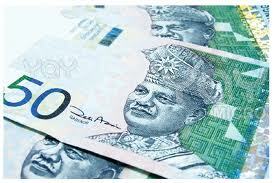 he union’s president Zainudin Dollah hoped however that the rate would be increased to match the rising cost of living. The minimum wage would ensure that the basic needs of workers and their families is fulfilled said 1Malaysia Foundation trustee Tan Sri Lee Lam Thye. “With the resolution of this long overdue matter, workers should be more productive and contribute to the nation’s economy,” he added. Speaking for the Malaysian Employers Federation, its executive director Shamsuddin Bardan said the new minimum wage would be a challenge to employers as operations cost may increase.